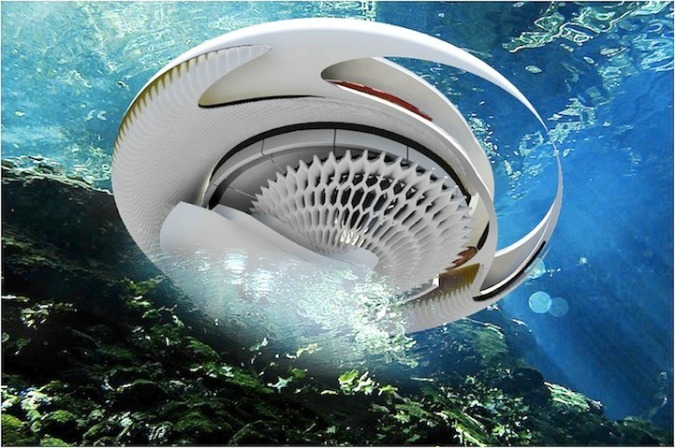 Designer and architect Margot Krasojević recently revealed designs for this futuristic home concept, called the Hydroelectric Tidal House, in which tidal wave power is harnessed to generate energy. 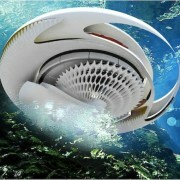 The idea proposes the construction of a structure with an outer and inner shell, providing for a two-part turbine system. The concrete outer shell anchors the house to the beach and uses solar cells to provide an electrical supply to the living area. 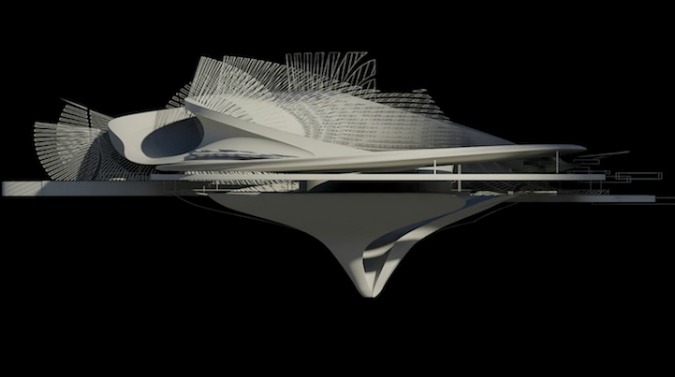 The inner shell, made from aluminum, is more fluid, rising and falling with the changing of the tide. Krasojević explains, “Tides are more predictable than solar and wind energy making it simpler to find an appropriate location to harness this renewable energy source.” (source).